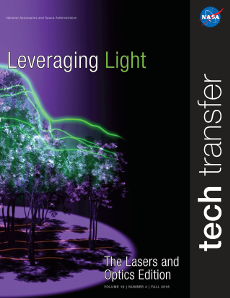 Goddard’s Tech Transfer News magazine is published quarterly by the Strategic Partnerships Office. The magazines can be viewed online or downloaded as Adobe Acrobat PDF documents. To make article suggestions for the Tech Transfer News magazine, please send email to the SPO.